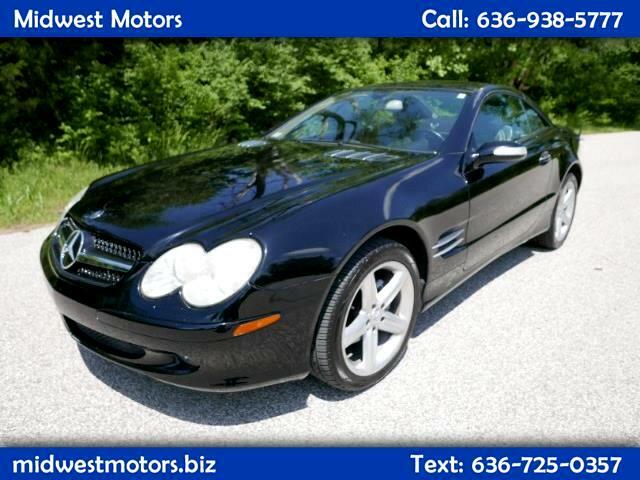 If youre looking for "The Best Or Nothing", then this Mercedes 500SL Sport Coupe convertible should certainly be on your list of "Must See Cars"! Power windows, locks, and seats! Leather bucket seats and a leather wrapped steering wheel make driving this car a ton of fun! Electrochromic Exterior Rearview Mirrors! Styling that says modern - complimented with a powerful engine and dependable transmission makes the 500SL a timeless car that is always a blast to drive. Give us a call or stop by to see this beauty!! We Finance! Trades are always welcomed!